Buying a used snow blower can be similar to buying a used car. If you want to find an efficient, well-maintained snow blower in good working order that will last you for years to come, you are going to have to do your research and possibly look a several. While you can't judge a book by its cover, it will be obvious by looking at the exterior if the machine has been taken care of and maintained. Of course, if you're comfortable with it, you should first look to buy from someone that you know if at all possible. 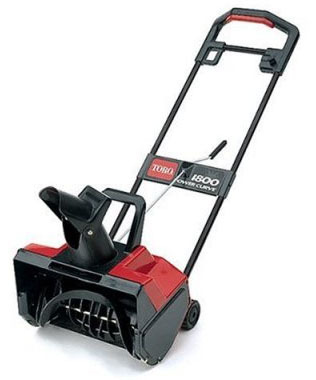 You'll already have a good idea if the person is the type to take care of and maintain things like snow blowers. If buying from a friend or relative doesn't work out then I'd recommend a local dealer. Some of the independent dealers will take used snow blowers as a trade-in on a new one. You can often times get these for a great price and most come with a free tune up. You might even get a warranty with it. If you are forced to buy from a complete stranger, you might as well expand your search as far and wide as possible - look around online. Most people tend to research online and then buy locally. 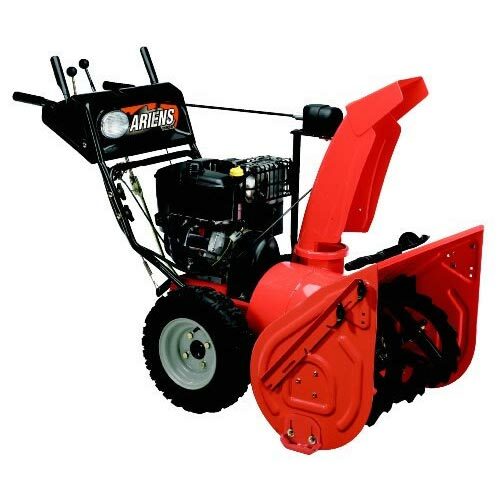 If you are looking to buy a used snow blower, then why not look and buy online? From my own personal experience, you can save at least 20-40% vs. retail by simply buying via an online ad or offer. In some cases, these sites may be setup to allow you to pay using a credit card or Paypal. Of course you should always make sure the site is secure before entering personal or credit card info. Regardless if you buy new or used, local or online, you'll still need to research and find the brand and model that fits your situation... and of course your budget. Electric snow blowers are the most cost effective, but are ideally suited for a smaller place such as a ground floor condo or townhouse. If you have anything larger than that, you'll definitely want to get a gas powered snow blower. The gas powered models are ready, willing, and able to do the heavy lifting. These days, most new snow blowers come with drive train and electric start. You likely won't even have to push the thing because most are self-propelled and the tires are designed for maximum traction. Regardless of what and how you decide to buy... a snow blower beats shovelling! 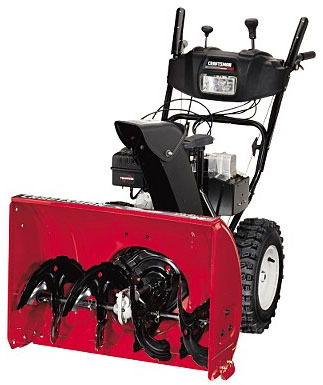 Take you time to look through the articles and snow blower reviews on this site. I hope that it helps you make an informed decision.